Earlier this month I had the pleasure of photographing Karen and Walter's intimate wedding at the Colonel Blackinton Inn in Attleboro, MA. This couple definitely had karma on their side because rain was slotted for the whole day but when the morning came, we actually found patches of time where the rain was only a faint drizzle, barely noticeable really, so that we could walk across the street to a lovely park and photograph this beautiful couple outside on their wedding day. We were able to sneak out again after their vows to the front porch of the inn to take some special photograph's with the groom's daughter and bride's step daughter. This little munchkin was so adorable to photograph. 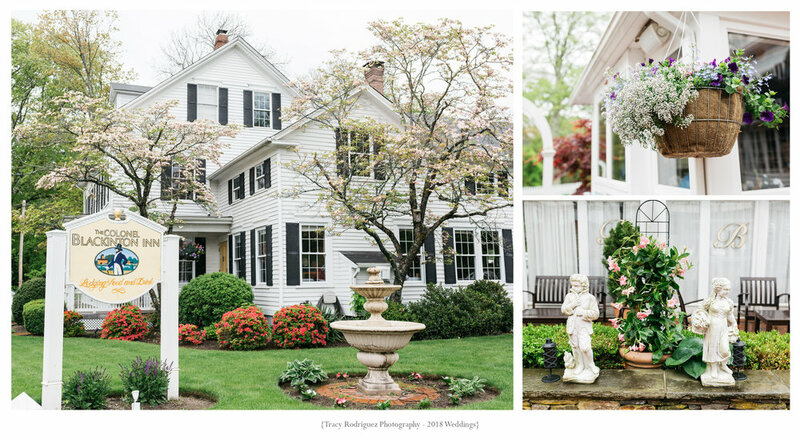 As I wrote in my first blog post at Colonel Blackinton Inn for Elizabeth and Sean's wedding, I absolutely love photographing at this venue. If you're planning an intimate wedding here, please do reach out! I'd love to be a part of your day. This wedding is part of my series of intimate weddings. These range from courthouse elopements to up to three hours at any venue of your choice, be it structured like this one or in a park or other unique location. These are my favorite weddings to photograph. 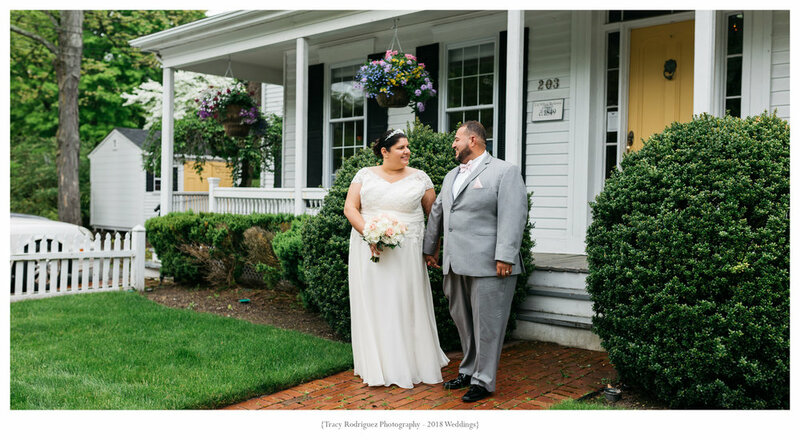 My intimate wedding and elopement couples always win my heart. And here's a shout out to all of the amazing vendors that made this day possible.